Rod Magnets are ideal for applications requiring the embedding of magnets with more than average length, e.g. acrylic signage, picture frames, joinery. With superior size to strength ratio, magnetic rods & bars are suitable for a wide range of applications. HSMAG neodymium rods and cylinders come in a variety of sizes, dimensions and grades. They are handy, all-purpose magnets commonly used in the art display industry, mining, engineering, construction, lighting, teaching facilities and for many other commercial and industrial purposes. 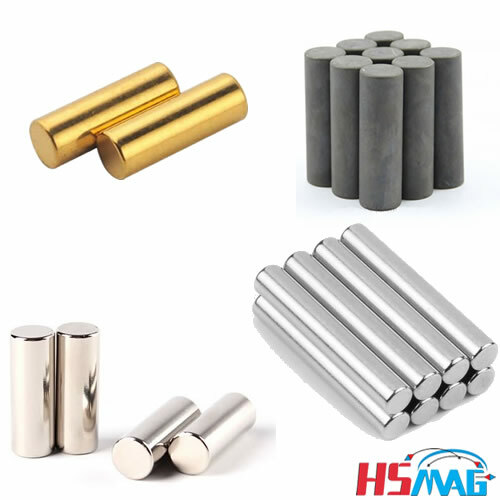 Among commercial magnet materials, the rare earth Neodymium Iron Boron magnet is the most powerful in the marketplace. Available in both sintered and bonded forms, this class of Rare Earth material possesses the highest Br, relatively high Hc and high BHmax. In many cases it is a more economical alternative to Samarium Cobalt, but is only suitable for certain applications because of its temperature sensitivity and susceptibility to oxidation. Neodymium has an approximate energy product range of 10-53 MGOe. If you require more information about HSMAG Ndfeb rods & cylinders our sales team will be happy to help you.